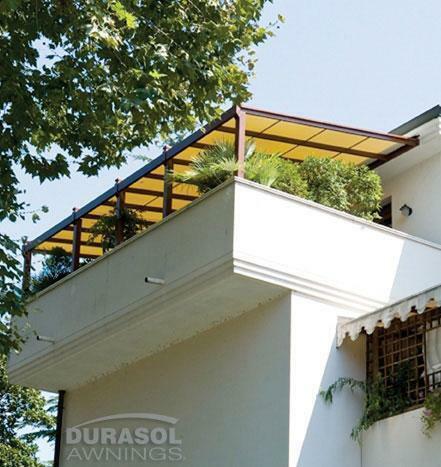 Durasol’s Solar Screens add purpose, style, and efficiency to your business or home by utilizing the latest in solar protection technology. 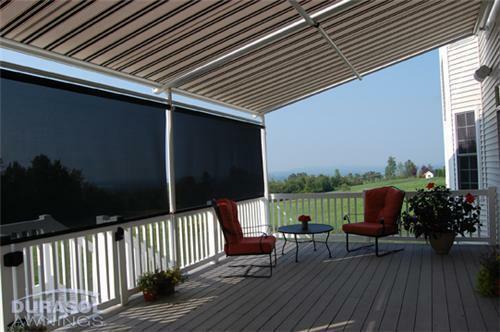 Solar Screens offer you the versatility in the amount of sun to allow in a room by giving you control of light, heat gain, and privacy. 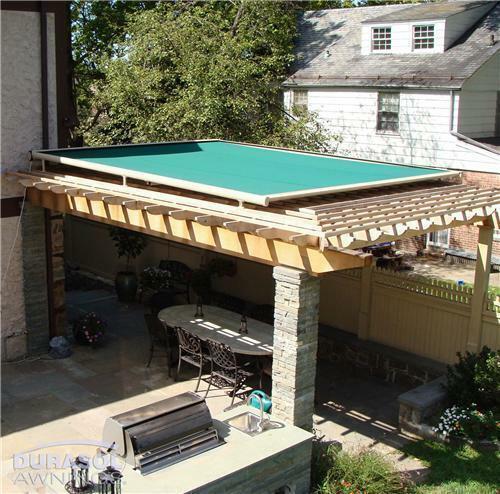 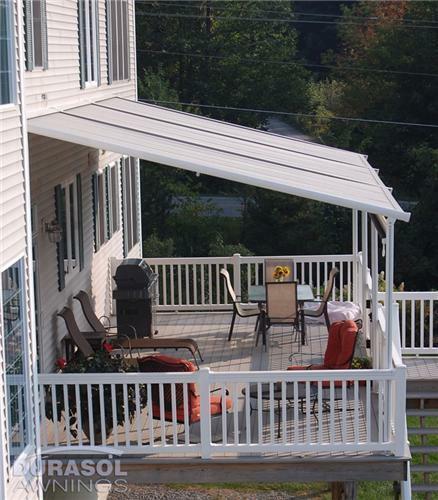 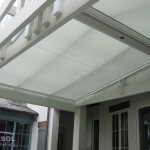 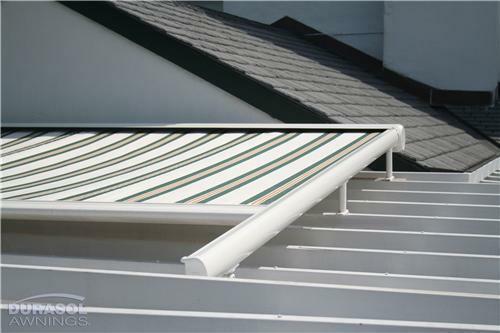 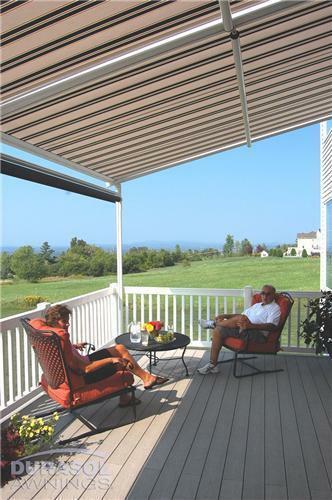 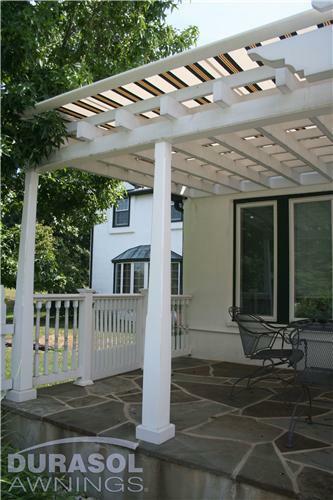 The SunStructure Pinnacle One & Two are retractable solar screen structures ideal when a lateral arm system won’t work. 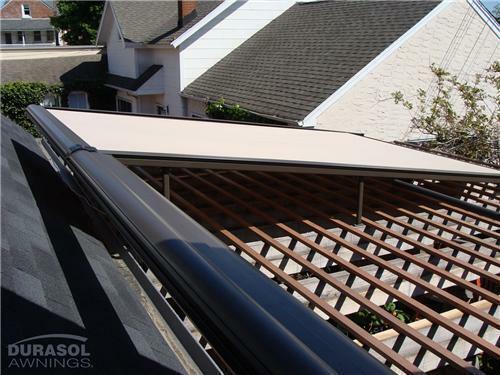 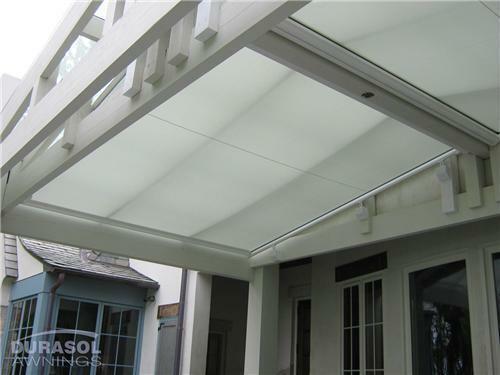 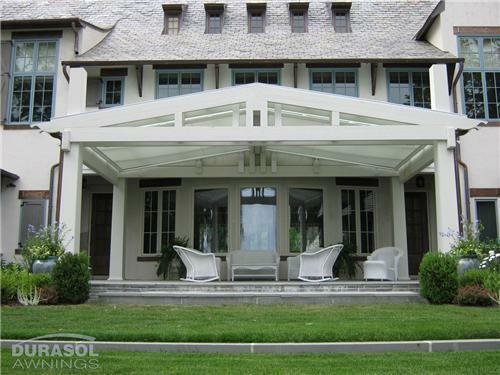 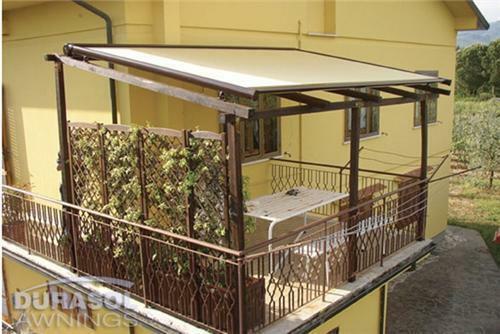 There two models available, allowing the Pinnacle to be mounted onto an existing structure, such as over a skylight or a pergola, or as a standalone product mounted to a wall. 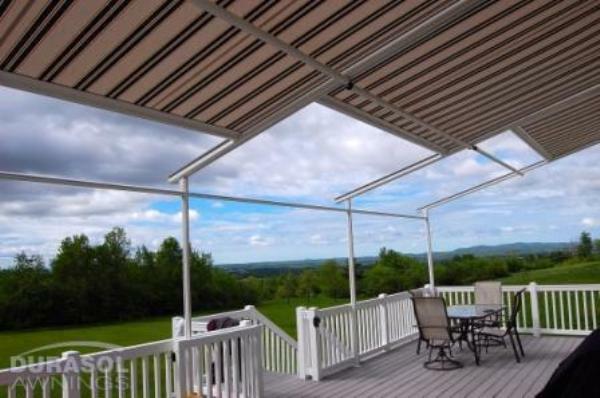 To cover large ares, you can use multiple Pinnacle shades.